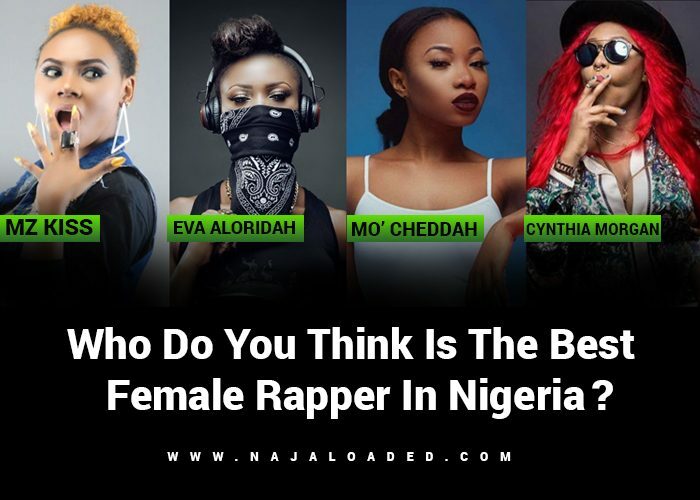 Home / Entertainment / Mz Kiss, Eva Alordiah, Mo’Cheddah and Cynthia Morgan – Who Do You Think Is The Best Female Rapper In Nigeria? There’s this popular saying, that what a man can do, a woman can do better. The same thing apply to our great Nigeria Music Industry. There are not so much female rappers in Nigeria as compared to their male counterparts but their are still some who are making waves all around the country. 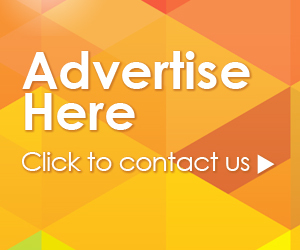 Amongst them are Mz Kiss, Eva Alordiah, Cynthia Morgan and Mo’Cheddah to mention a few. Signed to Clarence Peters’ Capital Hill, Mz Kiss has been gaining massive airplay ever since she came into limelight. With an EP to her name which is titled “Street on the Loose” and so many singles like ‘Merule ‘ft Slimcase, Owo Meta, Figure 8, Stoopid and lot more. She had been compared severely with Olamide which shows how highly she’s rated. 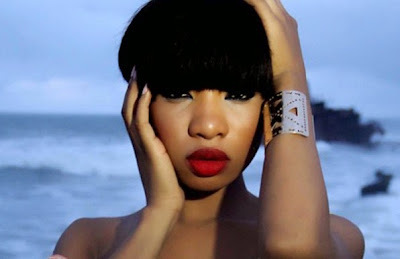 Mo’Cheddah came into the rap game as a young talented tomboyish girl who stormed into the industry at a very tender game. She released her official debut single in 2009 and released her first studio album in 2010 titled “Franchise Celebrity“. She currently has her own record label named Cheddah Music. Some of her top notch songs are Tori Olorun, Destinambari ft Phyno, Bad ft Olamide etc. 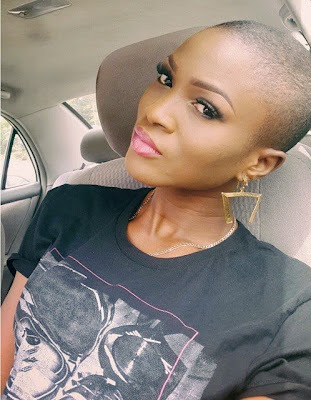 Nigeria’s baddest female rapper, Eva Alordiah is a Feisty Female rapper, Writer, and Motivational Speaker whose play with words is exceptional. She has been rated as Nigeria’s foremost Female rapper, leading a fiercely successful Career in Hiphop with no competition. A multi talented female, Eva is also a Writer with several published works, A serial content creator on Youtube and runs her own Beauty Business in Nigeria. She currently has amassed an impressive social Following of over 1,000,000 Fans on social media and doesn’t seem to be slowing down. Her Influence is one that encompasses a broad spectrum of people, as she inspires and touches the lives of followers worldwide with her powerful speeches and Rap Motivational Videos. She’s obviously not a novice in rap game. 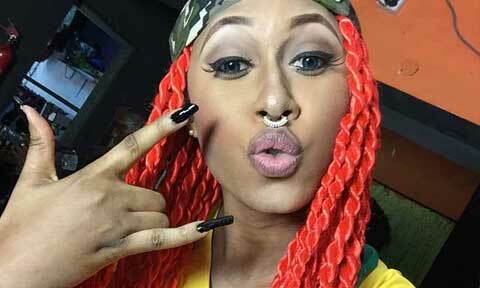 Now known as Madrina, Cynthia Morgan‘s music is a fusion of pop, hip hop, dancehall and rap. She shot into limelight following the release of two singles titled “Don’t Break My Heart” and “Lead Me On“, which received massive airplay and positive reviews even from critics. At the age of 17 she recorded her debut single which featured General Pype “Dutty Stepping“. She is yet to have an Album but has series of highly impressive single e.g Popori (2014) German Juice (2015), Come and Do (2015), Simati Niya, (2015), Baby Mama (2015), Olowo (2016). Who Do You Think Is The Best Out Of The Above Mentioned Artistes? Who Do You Think Should Be On The List That Was Omitted?